It has been said by Coindesk.com that this app contains malware that can extract private info, including private keys that have been stored on whatever device this app is located on. Be careful. I use this one every day. It is a must. Easy, clean, and effective. This was an excellent app, but now it is garbage. It is unusable. 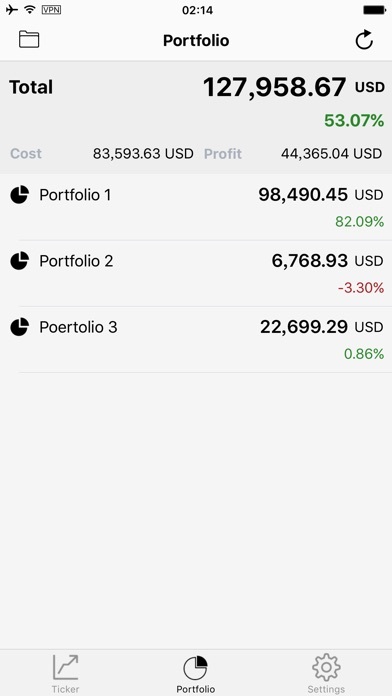 Great app for managing multiple portfolios. 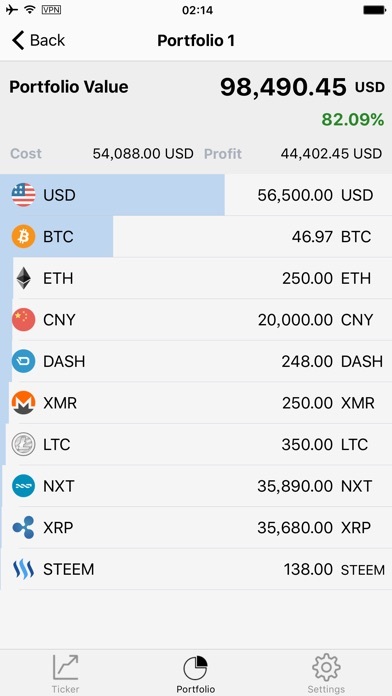 Shows overall BTC or USD total amount and has a simple clean UI. Needs only 1 crucial feature, which is to have a “cumulative portfolio” that displays ones total token holdings across all portfolios. 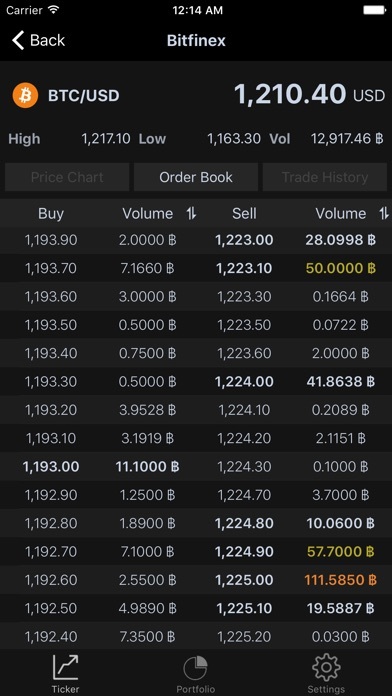 If this feature is added this app crushes Blockfolio. The creator of this app, whoever he is, constantly disappears for months on end. Especially in a bear market. He won’t add new coins. He doesn’t respond to support requests. He just literally doesn’t give a crap and walks away. Have sent multiple emails, multiple tweets, and the guy doesn’t respond. 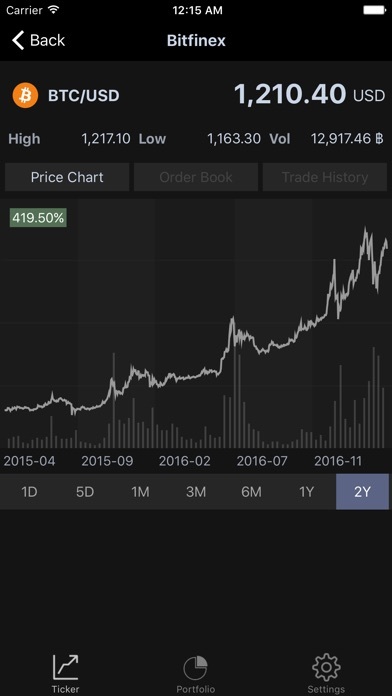 I’m sure when bitcoin goes to $20,000 again, he’ll start paying attention to his own app. But in the meantime the thing crashes every time I open it now, and he can’t be bothered. Yet he wants $6.95 a month from us for the paid version? He’s the reason I’ve never paid. Great app, lovely to use. 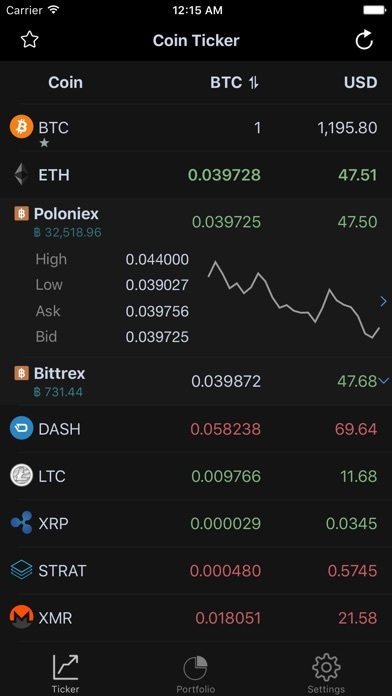 Easy to quickly check prices on cryptocurrency, yet 4 stars Because not all coins have been added. Please add the lovely Turtlecoin! I bought this paid for app more than once!! Recently opened it and I no longer have access to all price history because of an update. Now I need to buy it again?!?! What a rip off!